Looking for deals in Edinburgh? The Motel One Edinburgh-Princes is in the heart of Princes Street and less than a 5-minute walk from Edinburgh Waverley Station. This contemporary hotel features a bar and a 24-hour front desk. great location, spacious room & bathroom, staff was amazing.. In the center of Edinburgh, the Motel One Edinburgh-Royal is a 5 minute walk from the train station, and only half a mile from the Castle. Guests can reach the historic St. Friendly staff, they were very helpfull. The rooms were nice and clean. The hotel is in right in the center of Edinburgh and right across the street from waverley station. So good for a few days stay in Edinburgh, as wel as starting a roundtrip through Scotland. The Glasshouse, Autograph Collection is a modern 5-star boutique hotel set behind the historic facade of 172-year-old Lady Glenorchy Church. Staff couldn't do enough for us. Beds were like being in a cloud. In Edinburgh’s historic Old Town, this Hotel Du Vin has uniquely styled bedrooms in a former city asylum. At the hotel’s heart is a French Bistro, serving produce from the Lothian region. Beautiful hotel...felt like you were in a different time but all the amenities of modern day. Room was extremely clean and comfortable and had a ton of character. Location was perfect! Kimpton Charlotte Square Hotel is located in Edinburgh, just yards from Princes Street and George Street. The breakfasts! Smashed Avocado on toast with eggs was awesome. My husband also loved their full Scottish breakfast. Very good quality and enjoyable. Located in central Edinburgh at the foot of Calton Hill, 24 Royal Terrace is nestled among the grand Georgian townhouses of Royal Terrace; a quiet, cobbled street just a short walk from the buzz of... The hotel was lovely; I could not have been more satisfied. The Witchery by the Castle offers a range of opulent suites in Edinburgh, each one unique with its own special features. If you want to experience Scotland of the past this is the room for you. In Edinburgh’s historic Old Town, this Hotel Du Vin has uniquely styled bedrooms in a former city asylum. At the hotel’s heart is a French Bistro, serving produce from the Lothian region. Beautiful hotel...felt like you were in a different time but all the amenities of modern day. This luxurious 5-star retreat has a fine-dining restaurant and romantic bedrooms about 1.9 mi from the Royal Mile. Prestonfield is surrounded by gardens and a golf course. The staff were beyond friendly but still prodessional. Offering stylish bedrooms, an on-site restaurant and bar, The Dunstane is set over 2 Victorian townhouses, Dunstane House and Hampton House, on opposite sides of the road, in Edinburgh's West End. Fantastic atmosphere for the perfect Scottish vacation. Lovely bars and breakfast room. Courtyard by Marriott Edinburgh offers accommodations in Edinburgh, in a prime location at the foothills of Calton Hill and just a five-minute walk from Princes Street. comfort, 24hour supermarket at the lobby, clean, helpful staff. The Lane Hotel is located in Edinburgh, 1.7 miles from EICC, and provides free WiFi. Featuring luggage storage space, this property also welcomes guests with a restaurant and a terrace. Very comfortable and warm room lovely decor,spacious and well laid out . Black Ivy is just a 15-minute walk from Edinburgh city center and features a lively bar which overlooks Bruntsfield Links park. clean and modern rooms and the view were super breakfast so good!! Rabble is set in Edinburgh, 1969 feet from Edinburgh Castle. Guests can enjoy the glass roof garden and free WiFi throughout. Every room has a TV, tea/coffee making facilities and a fridge. The bed was super comfortable, which we needed after an exhausting trip to Edinburgh. Northfield House has rooms with attached bathroom, a beer garden, free WiFi and free parking. It is 5 minutes' drive from the Edinburgh City Bypass and has easy access to the city center by bus. Staff were incredibly friendly and accommodating, room was small but had everything you needed. This elegant 4-star Victorian hotel offers luxurious rooms featuring iPod docks, flat-screen TVs, sherry and shortbread. Amazingly friendly and helpful staff staff, relaxed atmosphere. Courtyard Edinburgh West is located in Edinburgh, 1640 feet from Heriot-Watt University and 4.5 mi from BT Murrayfield Stadium. Guests can enjoy all-day dining at the on-site restaurant, The Avenue. Location, cleanliness, spacious & reasonable price. Tigerlily is an award-winning boutique hotel with chic rooms, an elegant bar, nightclub and a restaurant. The restaurant staff (Katherine and Martin) were exceptional. Just 0.5 miles from Edinburgh Waverley Rail Station, this 4-star Ten Hill Place, BW Premier Collection is owned by the Royal College of Surgeons of Edinburgh and offers free WiFi. The proximity to old town was great. In the center of Edinburgh, the Motel One Edinburgh-Royal is a 5 minute walk from the train station, and only half a mile from the Castle. Guests can reach the historic St. Friendly staff, they were very helpfull. The rooms were nice and clean. Radisson Collection Hotel, Royal Mile Edinburgh is set in the heart of the capital and the only five-star hotel on the historic Royal Mile and Edinburgh Military Tattoo. Excellent location. Clean and comfortable. Great value for money. What are the best hotels in Edinburgh near Edinburgh Airport? 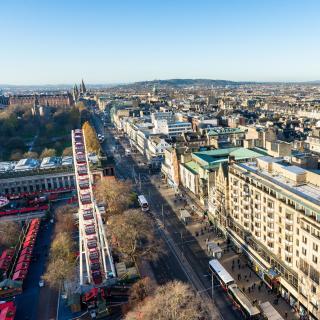 Travelers who stayed in Edinburgh near Edinburgh Airport (EDI) have said good things about Hampton By Hilton Edinburgh Airport, Moxy Edinburgh Airport, and DoubleTree by Hilton Edinburgh Airport. Which hotels in Edinburgh are good for couples? These hotels in Edinburgh are highly rated by couples: The Witchery by the Castle, Prestonfield House, and The Lane Hotel. Which neighborhood is the best one to stay at in Edinburgh? Old Town, New Town, and West End are popular with other travelers visiting Edinburgh. Which hotels in Edinburgh are good for families? Many families visiting Edinburgh loved staying at The Raeburn, Prestonfield House, and Tigerlily. 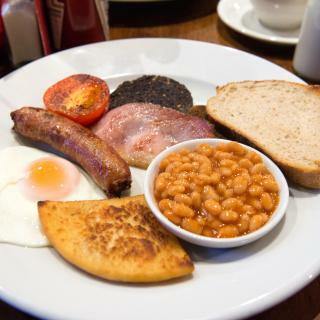 Which hotels in Edinburgh offer an especially good breakfast? For hotels in Edinburgh that serve highly-rated breakfasts, try The Lane Hotel, The Raeburn, and Hotel Ceilidh-Donia. How much is a hotel in Edinburgh for this weekend? The average price per night for a 3-star hotel in Edinburgh this weekend is $229 or, for a 4-star hotel, $313. Looking for something even fancier? 5-star hotels in Edinburgh for this weekend cost around $416 per night, on average (based on Booking.com prices). How much does it cost to stay in a hotel in Edinburgh? On average, 3-star hotels in Edinburgh cost $110 per night, and 4-star hotels in Edinburgh are $150 per night. If you're looking for something really special, a 5-star hotel in Edinburgh can be found for $270 per night, on average (based on Booking.com prices). Which hotels in Edinburgh have nice views? 24 Royal Terrace, Prestonfield House, and Radisson Collection Hotel, Royal Mile Edinburgh got great room view-related reviews from travelers in Edinburgh. How much is a hotel in Edinburgh for tonight? On average, it costs $75 per night to book a 3-star hotel in Edinburgh for tonight. You'll pay around $114 if you choose to stay in a 4-star hotel tonight, while a 5-star hotel in Edinburgh will cost around $164, on average (based on Booking.com prices). Which hotels are the best ones to stay at in Edinburgh? The Balmoral Hotel, The Rutland Hotel, and Hotel Ceilidh-Donia are some of the popular hotels in Edinburgh. What are the best hotels in Edinburgh near Edinburgh Castle? 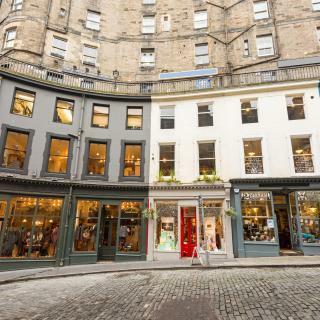 Some of the best hotels in Edinburgh near Edinburgh Castle include Grassmarket Studio - Websters Land, Rose Apartment and George St Apartments by BNBbuddy. 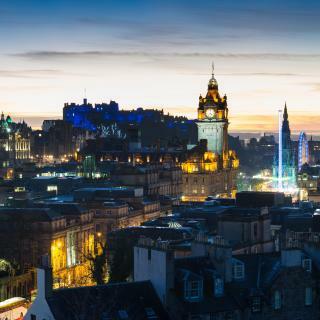 A city of heritage, heart and of course Hogmanay, Scotland’s capital is vibrant and edgy. Whether or not you come for one of its many festivals, Edinburgh is quite simply a feast for the senses. The wealth of Edinburgh sights ranges from Holyrood Palace to the Botanical Gardens, Princes Street to the Royal Mile. Overseeing them all is majestic Edinburgh Castle. Be there at sunset on a clear day to see the city below bathed in a warm, orange glow. Simply stunning. Wandering the streets, the smell of fish and chips wafts by, with the unique twist of salt ‘n’ sauce – a must-try variation on this favourite dish. Follow it up with a smooth whisky and you’ll start to feel like a local. For a taste of Scottish culture, a kilt-wearing busker often plays the bagpipes on Waverley Bridge, while traditional folk music can be heard in some Old Town pubs. 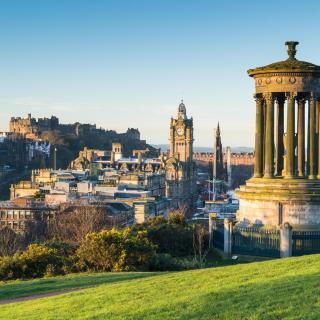 Complete your stay with a rugby match at Murrayfield or a round at one of the city’s 14 golf clubs, and you’ll have the true Edinburgh experience. Whether you are looking for hotels near Edinburgh Airport or accommodations in the city center, Booking.com has a great range to choose from. It was a very nice hotel smack dab in the midst of all sights. The staff were friendly and helpful. Our room was a pleasant surprise because we unexpectedly had a side view of the castle. The accommodations were comfortable and spotless. We had a huge bathroom and amenities were plentiful. I want to go back there! Edinburgh is lovely city. There is lots to see and do and good shopping options. Unfortunately many restaurants and bars close their kitchens at 9:00 pm. If you are arriving late or get back from a tour late, it can be quite challenging to find a place close by to eat. The old Waverly Hotel offers a delicious Haggis at their bar restaurant. 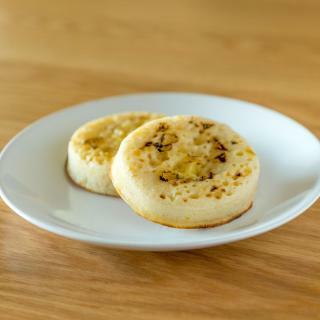 If you are not familiar with the UK, skip included breakfasts with your hotel and instead go to a Marks & Spencer (M&S) or Pret-A-Manger for healthy and inexpensive breakfast items and lunches. There are enough of these around that there should be one close by. Near Edinburgh Castle there is the Edinburgh Wool Mill. If you go inside you can actually make your way down to the bottom of the building and watch wool and tartans be made; it's free and a neat things to be able to say you've seen. Edinburgh is a beautiful historic city, but you really need to see more of Scotland. Fortunately, there are great one day tours that will give you a taste of the Highland and Loch Ness or the English border. You can spend a day in the mountains or castles and sleep in your nice Edinburgh Hotel. A 2-3 Tour will take you to Skye and the Atlantic Coast. All of these tours tend to leave from the St. Giles Cathedral area, in the center of the Royal Mile. We did four tours and spend two day in Edinburgh. In Eight Days, we saw a lot of Scotland. We used Highland Experience and Haggis Tours (Booked through Viatour). Both were excellent. The only caution is that Highland Experience has limited luggage size for multi-day tours. Edinburgh never fails to please. Edinburgh never fails to please. From tea at the Balmoral Hotel to the Real Mary Kings Close tour, we were busy for 5 days. The museums are world class and the pubs and pub food is just plain fun. We recommend an apartment instead of a hotel if you are staying more than a couple of days. Loved the city as a whole. We had one of the most romantic and best dinners at the Witchery Restaurant in the garden room.It's very easy to get to everything and our hotel was close to everything!! Edinburgh gleams like a diamond city, multi-faceted, sparkling and unmissable . Loved the Christmas Market - mulled wine, the fairground rides, the buzz! Found perfect presents in vibrant shops with savvy staff on George Street and Princes Street. Coffee in Valvona and Croll at Jenners on Princes Street. Lunch in Jamie's Italian on Rose Street. Dinner in Cucina at G & V Hotel in Old Town on day one - excellent hotel. Old Town was brilliant with The Street of Light experience. Supper at the Radisson on the Royal Mile on day two - and a perfect Room with a View. Taxi drivers are real pros to take you anywhere with lively chat. To be avoided: the awful floods in our city of Carlisle, which the staff at the G & V and the Radisson made bearable by re-arranging our travel when the West Coast Line was blocked. Lovely hotel/free parking/welcoming reception. Great location as it's near the city centre so therefore makes exploring the place easier. Although we didn't go to the Edinburgh zoo it's right next door to the hotel. The breakfast was very good. A shout out to Andy, chef we met during breakfast. He went out of his way to meet our dietary requirement. He ensured during our stay he made vegetarian sausages specifically for us which just made our stay even better and we felt special. Thank you Andy!! The property was picked due to its proximity to south Edinburgh. They have a spacious parking lot which we felt was very important in this area. The rooms were state of the art and featured super clean and updated furnishings and finishes. The bathroom rivaled those in hotels that cost 4 times as much with modern fixtures and lighting. The owners were super accommodating and recomended we eat at the sheeps heid inn which is very close by and the oldest pub in Scotland, circa 1320! Amazing hotel in a great area! Friendly and prompt welcome made better by an upgrade. Hard to say what a ‘normal’ room would have been like but suffice to say that the upgrade was more apartment than hotel room. In the new block and very comfortable, clean and given on a busy road in middle of town pretty quiet. Windows double glazed. Location great. Easy (save for the hill!) walk to royal mile and Edinburgh Castle. Tram from airport stops on the same road just a short walk from the hotel. An excellent hotel right from the moment we walked through the door. Excellent reception staff. so very nice and polite and helpful. a wonderfully comfortable bed. staff so helpful in keeping suitcase and Christmas shopping right until We were ready to leave Edinburgh to go home. I will definitely recommend this hotel to any friends or family coming to Edinburgh. great location and nice and close to city centre. a great hotel which made for an excellent weekend. I would highly recommend Staycity Aparthotels West End to any one visiting Edinburgh. I enjoyed my stay with them very much. The staff was friendly and helpful. They knew alot about the area and gave great tips. I loved the apartment, the apartment had all the luxery you could ask for and more. It was clean and very comfortable. The area was quiet and close to public transport as well as within walking distance to the city centre. Great location right across from Hayward tram. About a 20 minute walk to old town but a very nice walk. Close to the Hayward pub serving great food. The USB plugs next to the beds were great. The best part was the Handy phone. We took it all over Edinburgh and Scotland. We booked tours, researched and used it’s maps. Wish every hotel had one of these! Prime location! Just in the middle of Royal mile, between the Edinburgh Castle, Old Town, New Centre, & Palace of Holyrood. Beds were comfy. Staff were friendly. All within walking distance. They gave us free brownies & ice cream. Fringe shows were playing in the premises. The hotel in itself is like an old castle! All of the usual amenities provided, tea & coffee making facilities, iron, hairdryer etc. Beds are super comfy & had a great night's sleep (even the kids 'slept in' until 8.15am - which is unheard of at home). 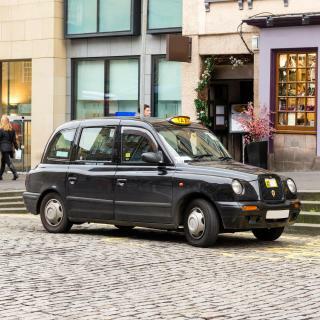 Fantastic bus services to the airport & Edinburgh City Centre just outside the hotel. Great place to stay in Edinburgh we're there at least 5times a year. Close to the Playhouse and the city centre. Great food as well. The staff are really knowledgeable and friendly. I recommend to all my friends it's not a back packers hostel it's a five star hotel. Hotel Du Vin is an easy walk to all the attractions in Edinburgh. The hotel is clean and well cared for. Beautiful place to stay. The staff was so friendly and helpful. I would highly recommend staying here and if I come back to Scotland I will return to the Hotel Du Vin. Spacious and clean rooms with good selection of amenities. Located between Edinburgh airport and the city centre. 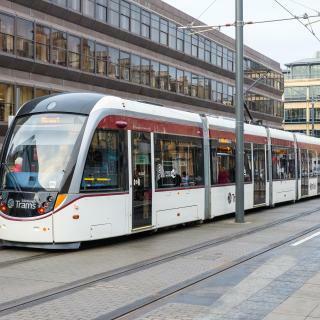 Close transport links to the city centre; bus stop just outside the hotel and trams about 15-20 minute walk. Very friendly staff. This hotel is my favorite in Edinburgh! I love the ambiance! The hotel staff is so friendly. They really go out of their way to accommodate. The location is perfect...right near the center of the Royal Mile. I have stayed there several times. The location was great. Just a very short walk to Waverly Station. From the back entrance of the hotel it was a few steps up a “close” to the Royal Mile. Perfect for shopping , restaurants and visiting Edinburgh Castle and Holyrood Abby. Location is the best. Edinburgh Castle is just a short walk opposite the hotel. Easy to walk around to explore the city. Friendly and helpful staffs. Breakfast is very delicious and good value for cooked selection. The hotels location was out of Edinburgh so easy to get there in the car, the trams are cheap way to get into city centre. The staff were brilliant would definitely recommend anyone to stay there. Hotel was very clean. Great location. Staff very friendly. Very quiet. Comfy beds. Near coffee shops,supermarkets,bars and city centre. Good place to stay while on holiday to Edinburgh. Location was amazing, in middle of the old town and the best part is the Royal Mile. The restaurant staff (Katherine and Martin) were exceptional. Took the time to make sure we understood our way around Edinburgh. Recommendations for meals were spot on, food was delicious! I had several options for gluten free food, UNLIKE in AMERICA!!! Room was super comfortable and the beds were like sleeping on a cloud. Highly recommend this hotel! Will be back!